YES YES and YES again! 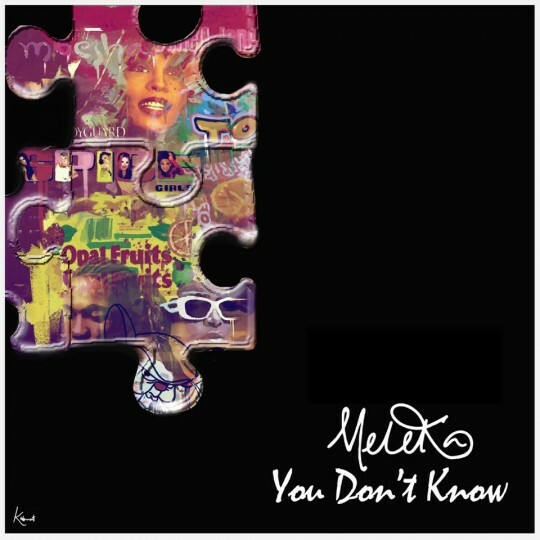 Last week Meleka dropped the second track from her forthcoming EP “The Funkin 90s”. The first track saw her cover the classic “Candy Rain” and she did a good job but for me she definitely moved up a gear for this cover of 702′s “You Don’t Know”. She completely OWNS this track taking the tune and completely making it her’s. The production from !ntalekt is decent but this is all about the vocal. Its a display of power quality and precision using every note to show just how good she is. If there was any doubts after the first track that Meleka is a vocalist about to make her mark on the scene then those doubts have been put to bed after this track. Bring on that EP!